Two California condors. All condors are tagged and monitored. Condors sometimes come to the Piedras Blancas to scavenge on dead, beached marine mammals. 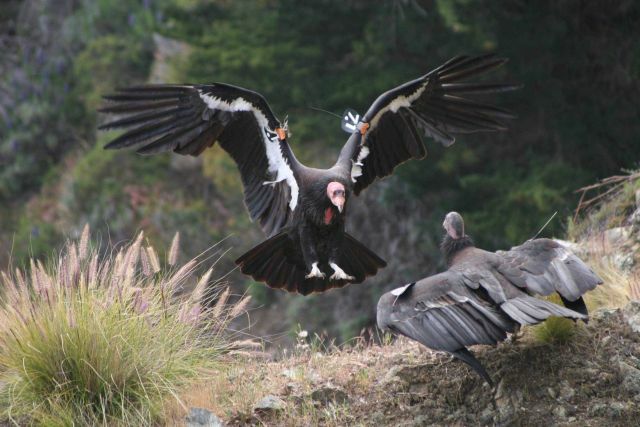 At one time there were only twenty-two condors left alive but through protection and a captive breeding program, now over 200 condors soar over the skies of southern and central California and another 179 live in captivity.